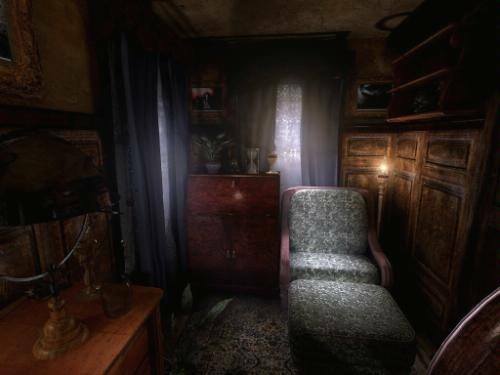 Darkness Within: In Pursuit of Loath Nolder is sure to send chills down your spine as you attempt to solve an eerie murder in this first person horror adventure. The game was released in late 2007 and is only available on the Windows platform. In the game you get to assume the role of Howard E. Loreid, a police detective who has recently been passed an interesting and peculiar case. The case involves the murder of Clark Field, a well off man who was deeply involved in the supernatural powers of the occult. Your top suspect just so happens to be the well renowned private investigator Loath Nolder who seems to have vanished from the face of the planet. If anybody could make themselves disappear it would be Loath Nolder, leaving you with a real challenge on your hands. The case seems straightforward enough and the early parts of the game don’t touch on the horror and thriller genre too much. Soon your investigation takes a dramatic and odd turn for the worst when completely terrifying images begin to attack your psyche. It isn’t long before you start to go mad and can barely tell truth from fiction in this bizarre investigation. 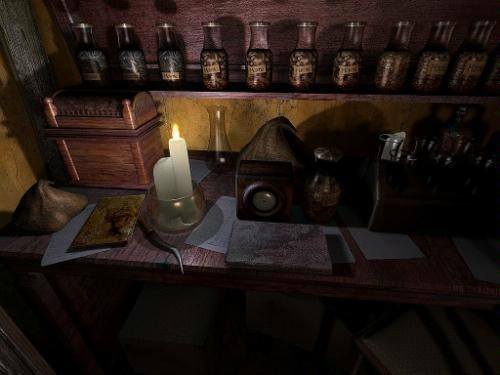 Gameplay stays very true to your role as a police detective with much of your time being spent gathering clues by examining items, locations and other aspects of the game world. Some puzzle elements are also present and will have you trying to solve puzzles that your dreams or case documents manifest. Darkness Within: In Pursuit of Loath Nolder offers the player a choice of three difficulty levels so you can choose the setting that gives you your desired challenge (or you can play the easiest level to focus on the horror and immersion elements). Darkness Within: In Pursuit of Loath Nolder is a thrilling game experience with just the right blend of puzzle and detective work thrown in to really immerse you into the world of a detective. Realistic detective gameplay as you gather clues to help you advance. Solve a number of puzzles from your horrific dreams. The first in the Darkness Within series.